Never before have we stood to gain or lose as much from understanding the international economy. Scandals plague the world’s largest corporations, the American trade deficit has soared to historic heights, and international organizations from the World Bank to the WTO are accused of being inefficient and corrupt. Is our global economy as unhealthy, and as unjust, as we think? And what can be done about it? 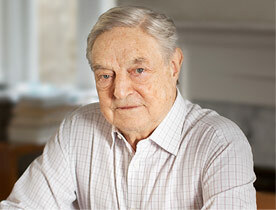 At this critical juncture, George Soros, a major proponent of globalization, takes to task the many institutions that have failed to keep pace with our global economy. At the same time, he offers a compelling new paradigm to bring the institutions and the economy back into necessary alignment. Economics are amoral, he argues – but neither our society nor our economy can afford to function without a distinct system of right and wrong. As we look toward the future and wonder what’s ailing our economy, where our jobs are going, and whether the power of economics can be harnessed for positive changes, this thoroughly updated edition of George Soros on Globalization is a report no citizen of the world can do without.